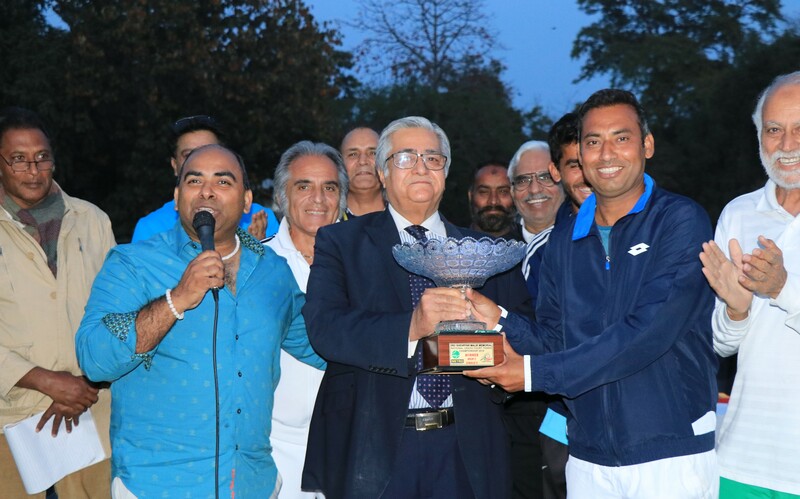 LAHORE: Top seed Aqeel Khan came from behind to edge past high-flying Muzamil Murtaza by 2-6, 7-5, 6-3 in the marathon final and retain the 3rd Shehryar Malik National Grass Court Tennis trophy at PLTA Courts. In the first set, third seed Muzamil twice broke the service of Wapda’s Aqeel and started leading the first set by 5-2. At this stage, Aqeel hit excellent return of serve in addition to pass glorious backhand shot at crucial point and broke Muzamil service to make it 5-3. Muzamil didn’t miss the vital chance to hold his own game by playing flawless tennis and sealed the set at 6-3. In the second set, Muzamil held his service game and managed to break Aqeel’s very first game of the second set by holding his own service and started leading the second set by 3-0. But after that a great comeback was witnessed when from behind, Aqeel leveled the score 5-5 followed by two match-winning shots to win the second set 7-5. In the third and final set, Muzamil lost his temper and started making errors and losing the crucial points while on the other hand, Aqeel remained cool and composed and utilized his wide experience to topple his spirited opponent by 6-3, thus registered a hard-fought 2-1 victory and clinched the trophy. This performance of Aqeel shows that he is still fit and keen to lead the national tennis and serve the country in longer run. In boys’ singles U-14 final, Hamid Israr beat Hamza Roman by 6-4, 6-2. In boys U-12, Hamza Roman outplayed Hasnain Ali. In U-10 boys singles final, Abubakar Talha outclassed beat Hania Minhas 4-0, 4-2. In seniors 40 plus doubles, Israr Gul (Police) and Jahanzeb Khan (Wapda) beat Shakeel/Ashar Khan by 6-1, 2-6, 10-6. Pakistan Tennis Federation Senior Vice President Khawaja Suhail Iftikhar graced the occasion as chief guest while PLTA Chairman Iftikhar Ahmed Rao, Naeem Siddiqui and PLTA Secretary Rashi Malik were guests of honour and distributed cash prizes, medals and trophies amongst the winners and runners-up.